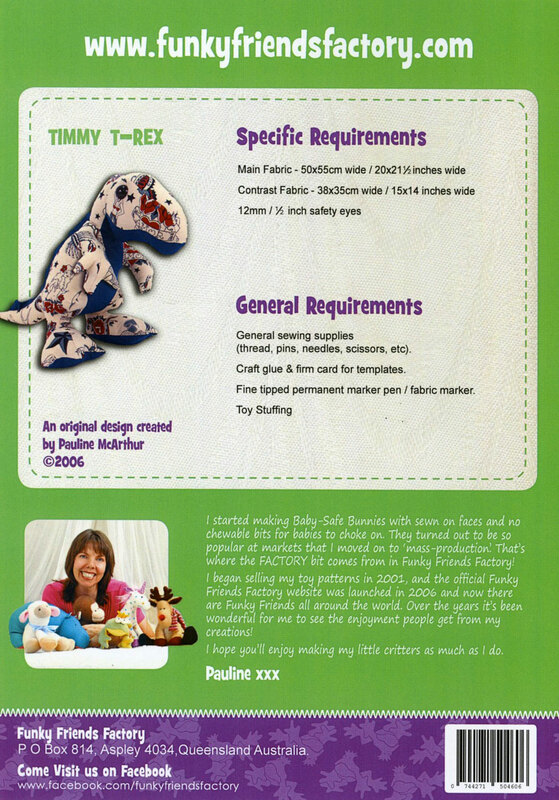 Finished Size for Timmy T-Rex is 17in/43cm. 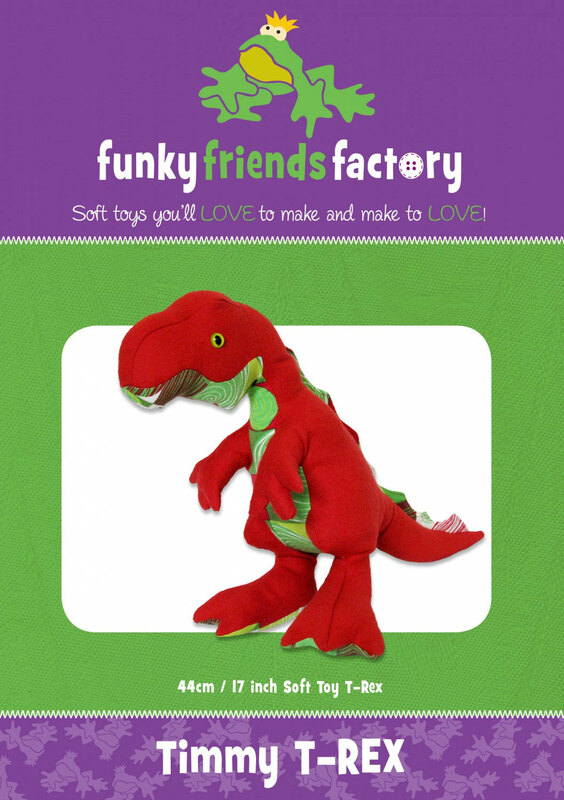 The Funky Friends Collection wouldn’t be complete without a few dinosaurs. 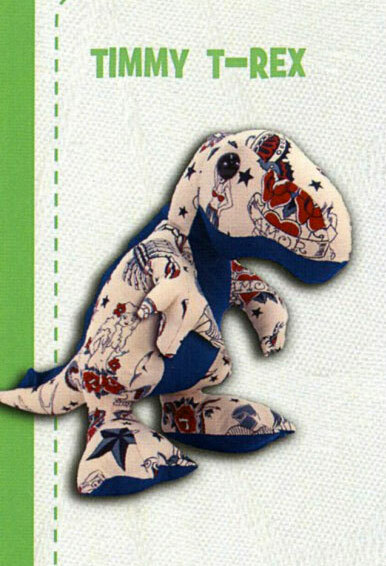 Timmy is a baby Tyrannosaurus Rex. 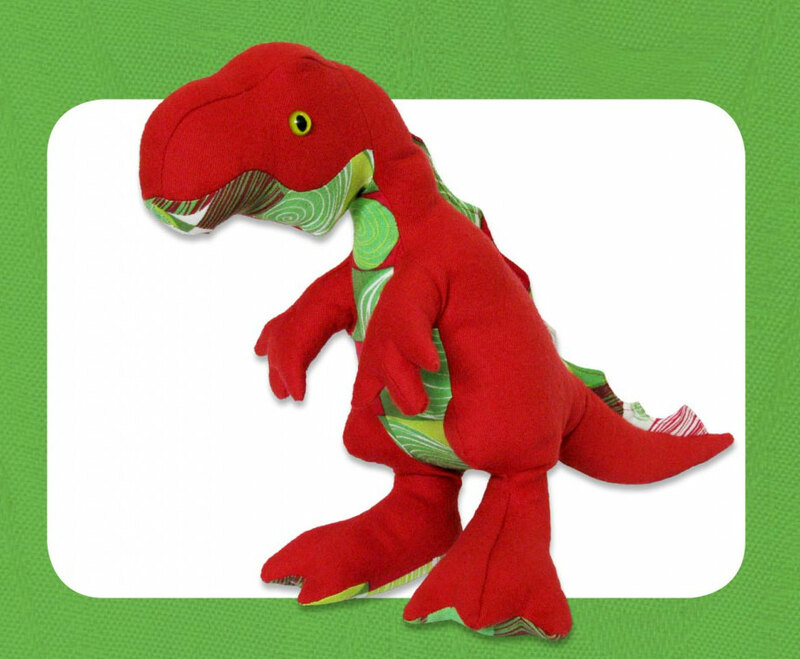 Boys and girls love this cuddly dinosaur and he can be made up in all sorts of color variations. He’s a simple pattern for beginners too. All types of fleece, and stretch fabrics eg. velour, chenille and flannelette.